What Is an Epileptologist and Should You Become One? 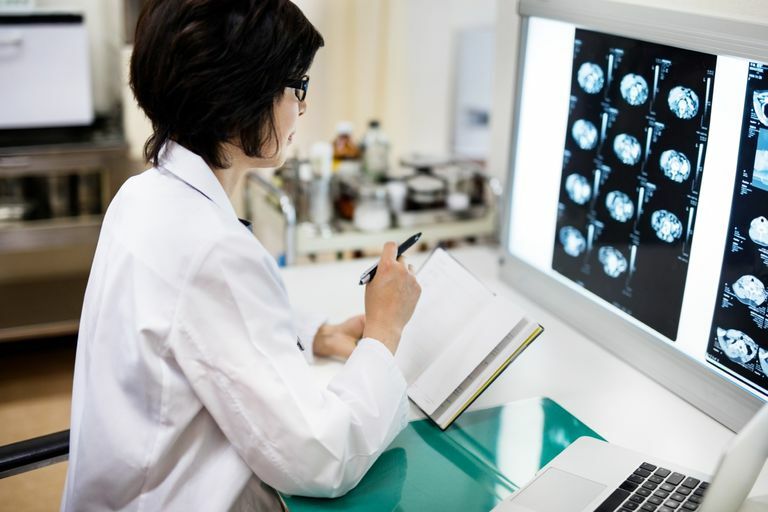 The field of epileptology is growing tremendously, which is increasing the demand for neurologists who specialize in diagnosing and treating epilepsy. Fellowship training programs are being added and epileptologists are in demand more than ever. According to the Epilepsy Foundation, epilepsy is the fourth most common neurological disorder, and it affects people of all ages. Epilepsy is a seizure disorder, characterized by recurring, unpredictable seizures causing a variety of additional health problems. Additionally, epilepsy is a spectrum disorder, meaning that there is a wide range and variety of severity and symptoms among patients, which likely adds to the complexity of diagnosis and treatment. Since the practice of epileptology as a sub-specialty of neurology is a relatively newer field, having just been added to the medical board of certification in 2013, there is not a great deal of history of the profession or career guidance for those physicians who are interested in venturing into this booming field of medicine. Like most other physician careers, there are a variety of practice settings in which one can work, even in a niche field such as epileptology. Epileptologists, like all neurologists, can be employed by a large system, be in practice for themselves as part of a group practice or partnership, or even work solely as an independent physician. Although the solo practice has been decreasing in popularity in recent years, some physicians find it to be very lucrative, as long as they minimize their overhead, and work with multiple streams of income. One great example of a successful, independently practicing epileptologist is Dr. Puja Naik. She is a self-employed neurologist, and solo practitioner for Neurology and Epilepsy Specialists, LLC. Additionally, Dr. Naik is a partner in First Choice Neurology LLP and is a member of the Epilepsy Operational Committee for Baptist Health System in Miami, FL. Dr. Naik has practiced as an epileptologist since completing her fellowship in 2015 and becoming board certified in 2016. She was drawn to the field of neurology when she was in medical school, and her interest later focused on epileptology, due to the significant impact she could make with patients. "Much of neurology practice involves managing chronic, progressive, debilitating diseases. Often, [as neurologists] we tell patients their diagnosis and or prognosis, but we may not have any treatment for their ailment. Epilepsy is one of the few fields that have developed substantial treatments, including medications and surgical procedures, to cure patients. It is very rewarding to see a patient [who came in with] a [once] debilitating condition become seizure free," Dr. Naik explains. As with any medical career, there is no typical workday. Every day brings a new, full schedule of different patients, each with new challenges, and new problems to solve. As an independent physician who works with several different practices and companies, Dr. Naik's schedule varies widely from day to day. Also, she adds that her schedule is likely quite different than that of a physician who is employed full-time by a single hospital or system. An employed physician would likely have more set, regular, stable hours, and also have to fit more patients into each day. Most neurologists do have a schedule that includes working in an inpatient setting as well as an outpatient setting. "I normally read electroencephalograms (EEGs), and see five to 10 patients a day. If a patient has a risk of epilepsy based on their history, physical, imaging, and background, and has had two or more seizures, I would usually start them on medication, educate regarding side effects, and caution regarding restrictions on lifestyle, occupation, and ability to drive," Dr. Naik explains. "The medication can be managed in the outpatient setting. In the outpatient setting, we would monitor the patient's bloodwork, side effects of medication, and decide if he/she needs long term monitoring to capture and characterize events in an ambulatory home setting or epilepsy monitoring unit. In university settings you would also attend surgical conference in order to work with a team of EEG technicians, neuropsychologists, and neurosurgeons to localize the lesion on the patient based on on the semiology of the event, and EEG results to identify if the patient is a surgical candidate, and what type of further testing such as intracranial monitoring or imaging is needed." One of the greatest challenges for Dr. Naik and other epileptologists is an early diagnosis. She said often other practitioners may not refer patients to an epileptologist until years into a patient's health issues. "Identifying epilepsy at its earliest can aid epileptologists in helping patients achieve a seizure-free life. The longer you wait the harder it is to achieve that goal," she states. Choosing a Career as an Epileptologist - Is It for You? Despite the challenges, Dr. Naik seems very passionate about her career treating epilepsy patients. "I love the ability to diagnose patients based on their history, gathering important information from their physical exam, imaging and, of course, electroencephalogram and video, to treat the patient and be able to see the treatment actually work is rewarding!" She adds that neurology, in general, is a field to which new physicians either gravitate towards or completely avoid. Dr. Naik was interested in neurology from the beginning of her medical studies. "I felt that understanding the complexity of the nervous system, the anatomy, the way the nervous system effects other parts of the body and the ability to localize a disease through anatomy is one of the things that make neurology so complex, interesting, and fascinating." Although epileptology is a lucrative, growing field, becoming an epileptologist may not be the perfect fit for everyone. Any physician interested in the field of epileptology should gather information from experienced epileptologists, and consider the schedule, hours, and lifestyle, qualifications, and training requirements, as well as his or her strengths and weaknesses as a physician, relative to a career in epileptology. Dr. Naik recommends that residents "rotate with the epilepsy department to get a feel for reading electroencephalograms, correlating abnormalities to imaging, and sit in on a surgical conference to see if this field is really for you. It has many exciting opportunities and it is constantly evolving to involve more innovative technology." One professional aspect that aspiring epileptologists do not need to worry about is demand for their services. Epileptology continues to grow as the medical science evolves, according to Dr. Naik. "There is a ton of research regarding new treatments, and there have been many different surgical devices introduced just within the last five years. She adds that she has already observed numerous signs of increasing demand for epileptologists. "I am constantly being messaged or called about opportunities throughout the US to be involved in an epilepsy center. The special skill set of identifying seizures and/or abnormalities on electroencephalogram is unique to the profession of neurology, and the most qualified and trained to do so, of course, are the epileptologists. There are currently no other fields that are able to provide this test, which is a very pivotal part of the diagnosis of epilepsy, which affects one percent of the population," Dr. Naik adds. When asked what else prospective epileptologists might want to know about the field, Dr. Naik provided some thoughtful insight. "I think it is very important to understand that epilepsy and neurology is a challenging career with complex patients who often have multiple co-morbidities including a bi-directional relationship with psychiatric disease. Therefore, it is very important to approach patients from many levels, in order to identify their diagnosis and guide him/her towards the right treatment, Dr. Naik states. "Working as an epileptologist requires time, patience, a thorough, meticulous ability to take a history, listen, and conduct a detailed neurological exam. It also takes a personality that is able to handle that a vast majority of neurological diseases are complicated, may not have a cure and often compassion and empathy play a strong role a neurologist's daily life," Dr. Naik concludes. Since epileptologists make up a relatively small segment of the physician workforce, and since it is a newer field, there is not much available information regarding average compensation for physicians who specialize in epileptology. Also, due to the wide variety of practice structures, there are many different ways that epileptologists are paid, depending on the type of practice setting in which they work. According to the Medical Group Management Association (MGMA), the average compensation for a neurologist in 2016 was $305,989, a nearly seven percent increase over the previous year. This figure includes all neurologists, but typically a sub-specialty that is in high demand would command a bit more annually than a general neurologist or other sub-specialist that is not experiencing as high of a demand in the healthcare market. Again, income varies by practice setting, a region of the country, state, and payer mix/reimbursement rates in the area. Board certification in epileptology is available through the American Board of Psychiatry and Neurology.